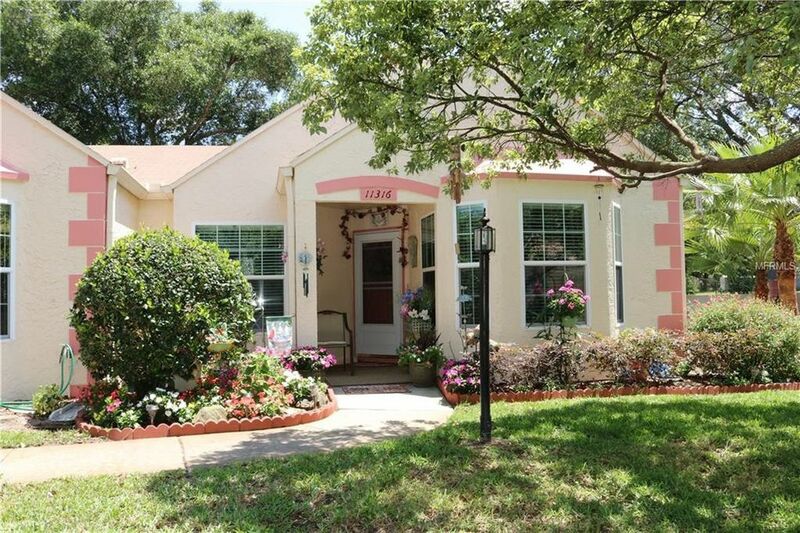 Beautiful 2/2 home located in the desirable Chateau Village! This home has a nice floor plan with a dining room/Living room combo. The home has two spacious bedrooms! The kitchen has a nice dinette in it and is updated.The home also offers a laminate floors throughout. You can find a Florida room in the back of the home that is nice for relaxing. The neighborhood offers a nice clubhouse that often has card nights and different events. Another bonus to living in the Chateau Village is you have your own private pool in the neighborhood other than the main pool. This home is turnkey, So make sure to make an appointment to see this home today! Directions: Little Road, Left on Timber Oaks Avenue/Ponderosa Avenue, Right on Versailles Lane-Right at stop sign.